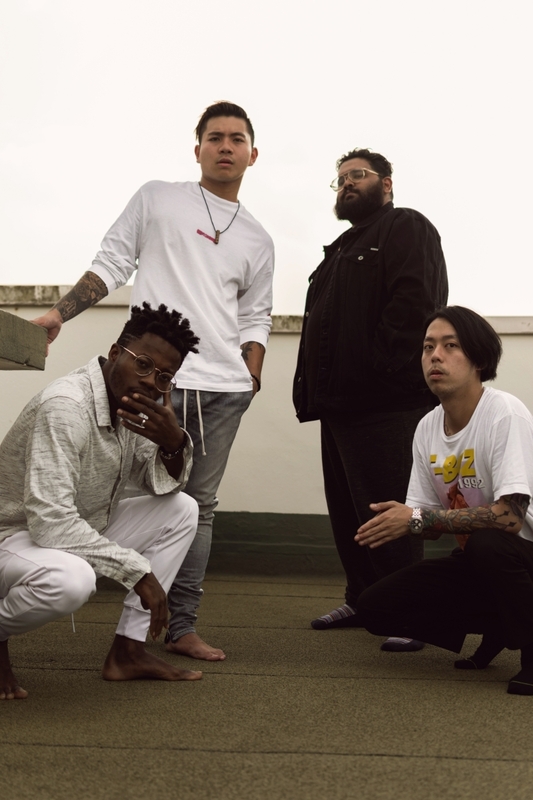 “What I got / is that feng shui / Where I go / is a holiday” – Singaporean rap crew YETI PACK is back with the ‘FENGSHUI’ at this glorious point of Chinese New Year. AFRO JUNIOR, RVND, YELLO and Rush Martines trade enigmatic, hilarious bars that are outrageous but dashingly so, over an Oriental instrumental with a banger-ready thrust. It’s victorious and provocative – and highly quotable. Below, we chat with the quartet about how it has found its sound and the dimensions of its music to come. YELLO: A lot of new shows. A lot of new people listening to our music. New people showing us love. Old people who didn't like our music liking our music. A lot of blessings. And for the world to be in a better place. AFRO JUNIOR: 2018 was the year of a lot of exploration and growth. It's weird to think that two years ago, 'Talk To Me Dead' was released and, comparing that to 'Broke AF’, it was so cool that in a year there has been growth. We had a lot of interesting deals and talks going on recently with music producers and we're excited to see where that goes. So far, YETI PACK has been a lot about us as a group but, this year, we're going to have group songs and individual releases in between, as well. And that's exciting because each of us embodies a different genre. RVND: At this rate, after realising how far we've gone in one year, we've managed to make everything work. This year, I'm very confident that we'll learn from our mistakes so that we can grow a lot faster. We'll be taking a steps in the right direction. Rush Martines: Yeah, I think exploration has been a big part for 2018; it was a huge preparation phase. 2019 is the time for us to show the world who YETI PACK is. Right now, individually, we've found our sounds, as well. 2018, if you like it, sure, that’s great. But in 2019, you're about to see us exploding to the scene. For people who have been following your journey throughout, what can they expect, musically? RVND: I won't sugarcoat it. When we started out, we were a bunch of friends trying to have fun and make music. During that time, we used free beats off the Internet and came up with random rap flows. But now, we've been doing so much research into the types of different flows: Triplet flows, double-time flows and so on. I've been listening to a lot of Migos and the way trap beats work is that they have a simple beat but the rap that goes on top of that is the actual melody of the song. Rush Martines: When we were experimenting, we were really shy to try a lot of different things. I thought I couldn't sing – but now a lot of us are incorporating melodies into songs. I feel our music has a whole new dynamic now. AFRO JUNIOR: What we want to tell our audience is to expect the unexpected. Whatever is coming out is not something you'll normally hear from us. 'BROKE AF' was your biggest moment of 2018. How do you feel about that milestone? Rush Martines: When we were making music for fun, we had very few monthly listeners and we thought that it'd be great to hit a 1000. To be honest, 'BROKE AF', as a collective, is one of our weaker songs. And with that fact, we didn't expect to hit over 100,000. It motivated us. We've never seen proper traction for a while, so when the song blew up, we thought about how well our older songs could've done. RVND: When we say it's one of our weaker songs, it's out of the four songs that we have recorded. 'Broke AF' was the first one to be released and there are three more that are still unreleased. And somehow, it blew up and that's insane. YELLO: We released 'BROKE AF' first because we felt that it would go viral. Plus, the video was very powerful. Rush Martines: One thing that the song taught us was the audience's viewpoint and what kind of music they wanted to hear. Throughout the whole year, we've been experimenting and now we can actually pinpoint the direction we can focus our resources on. Within a year, we've become more aware of ourselves. This song was truly us and I feel that we need more songs like that. We weren't trying to flex. We accepted our situation and tried not to change that. YELLO: It's always an honour having new people listen to our music. We have fans from the Philippines, Thailand, US and UK and that's something I never would've imagined. The whole idea about digital music continues to amaze me. Back then, local acts have to tour to get their music to the rest of the world. Now, you just have to put it out. Convenience doesn't necessarily have to be bad. Where do your solo projects stand in relation to YETI PACK? Rush Martines: We're all very similar but, at the same time, very different. With solo releases, we want to put ourselves as individuals out there as much as possible so it gives fans a better understanding of who we are as people. YELLO: When it comes to YETI PACK, the four of us are similar people; it's how we are when we hang out. There's no frills, no additional idiosyncrasies. I'm a very moody and sensitive person and all that goes into my solo project. RVND: Listening to YETI PACK is like going to a house party but when you listen to our solo stuff, it's like having a one-on-one conversation. AFRO JUNIOR, how do you feel about the kind of hip-hop you see happening in Singapore, as well as, having Asian voices chime in on this global movement? AFRO JUNIOR: Honestly, it is amazing seeing different cultures integrated into hip-hop. It's no longer an African-American thing. Back in the day, most of the songs were about gangsters and such. Now, everyone is talking about a lot more issues. I'm looking forward to see more projects going out and people coming to YETI PACK to collaborate so that we can all grow as one. Especially now that you see that Singapore is growing internationally, it’s best that we get recognised as a whole instead of having any beef with each other. Besides your own music, can each of you shout out one Singaporean hip-hop song that did it for you in 2018? AFRO JUNIOR:: I would say ‘Salty' by Louie Indigo. I've been showing it to a lot of people in San Diego because I want to show them what Singapore has. And they really like our stuff. Rush Martines: For me, it's ‘M3dusa' by Slime G4ng. RVND: I like 'M3dusa' too. I play it almost every other day. It's on my playlist, it's so good.